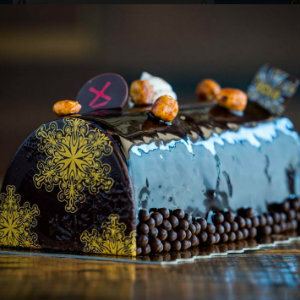 Named one of the best holiday markets in the US by Food & Wine, Moulin’s Newport Beach patisserie transformed into a Parisian holiday market through December. 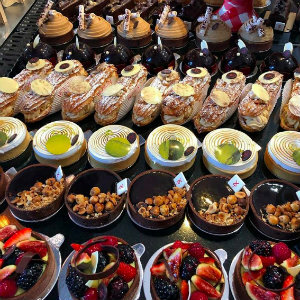 The walls boast fine epicurean items sourced directly from France as the pastry case is filled with gilded pastries including large-format St. Honoré and Sesame-Fig Tarts, as well as artisan foie gras with Jurançon. A curated wine selection offers everything from robust, vintage Burgundies to a Nebuchadnezzar of Taittinger’s Brut Reserve. 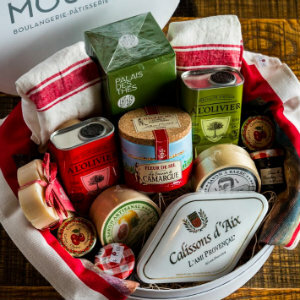 The patisserie is also stocked with beautiful holiday baskets ($49 – $259) of all sizes filled with everything a Francophile could ever dream of. Open 7 a.m. to 7 p.m., Monday through Thursday; 7 a.m. to 8 p.m. Friday and Saturday; 8 a.m. to 3 p.m. Sunday. 1000 Bristol St N St. 10, Newport Beach. 949.474.0920.